How Far is Ajay Raj Balaji Apartment? 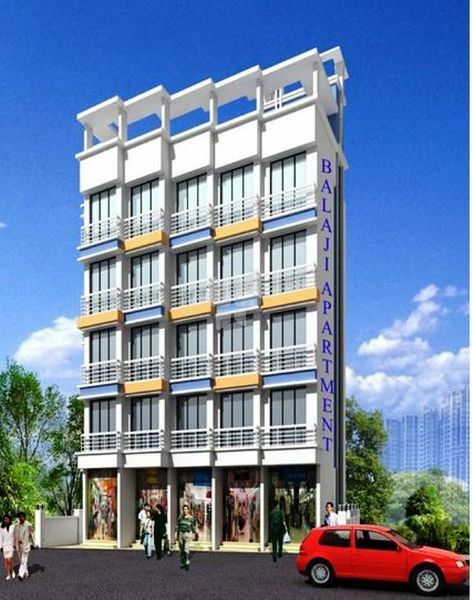 Ajay Raj Balaji Apartment is one of the residential development of Ajay Raj Realtors, located at Sector 26A, Kopari Village, Vashi, Navi Mumbai. It offers skillfully designed residential apartments. Project has been designed to facilitate perfect living conditions with optimum light, ventilation and privacy, coupled with fresh and green surroundings, each apartment brings the joy of unhindered living. "Ajay Raj Realtors" is fastest growing real estate company which aim is "Jahan Hote Hai Sapne Sakar" to Customer. It has completed projects in Vashi, Koparkhairnar and Palghar etc. The Directors of "Ajay Raj Realtors" are Mr. Rajendra Dubey and Mrs. Usha Dubey has a lot of experience in Real estate developement. "Ajay Raj Realtors" Constructions with quality experience, In fields of Construction & Housing, "Ajay Raj Realtors" Constructions has pioneered in real estate property development and constructions related activities in India. At "Ajay Raj Realtors", projects are conceived meticulously with attention to the finest detail. At every stage, the processes are carefully monitored by professionals considered best-in-the-business. "Ajay Raj Realtors", established in 2008, has emerged as a leading real estate developer in the Vashi, Boisar, Palghar sub region. Our name has been associated with conquering the odds and building better homes that reflect your lifestyle. When you choose "Ajay Raj Realtors" Group, you are choosing our unwavering commitment to quality and customer service.